SITES is poised to become the most widely used land development rating system in the world. Just as LEED undeniably transformed the built environment, SITES has the ability to transform land development and use under the administration of GBCI. The SITES rating system works for all types of landscapes, for new construction sites with or without buildings and across all types of projects, from residential homes to large parks and institutional campuses. We invite you to join us for our first SITES Quarterly Call on Nov. 10, 2016 from 12–1 p.m., where GBCI staff will present the value of SITES certification and the SITES AP credential, as well as answer your questions. Learn how to discuss SITES with your clients, understand the value of SITES certification and credentials, expand your business offerings and capitalize on the positive public relations benefits associated with sustainability and reduced environmental impacts. You’ll also learn about the SITES Accredited Professional (SITES AP) credential, an exam designed for those interested in distinguishing themselves on the forefront of designing, building and maintaining sustainable land practices. 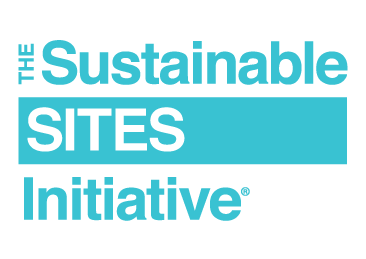 SITES Quarterly Call 1: What is the value of SITES certification and the SITES AP? Ahead of the meeting, please RSVP so that we can be in touch and gather any questions you may have ahead of the call, as well as propose topics you may want on future calls. We’re looking forward to "seeing" you at the SITES Quarterly Call.